The event was held at Twin Hills Country Club in Longmeadow, Mass. 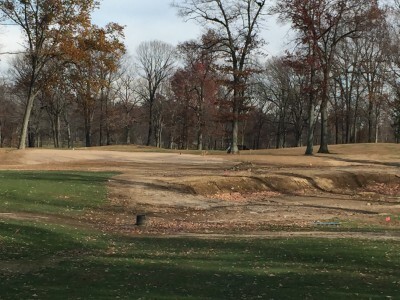 The seventh green at Keney Park Golf Course under construction in December of 2014. Photo by Anthony Pioppi. 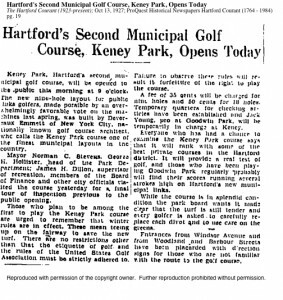 Tom Baptist, Superintendent of Public Works Director for the City of Hartford, did not say if all 18 holes were expected to open at that time. 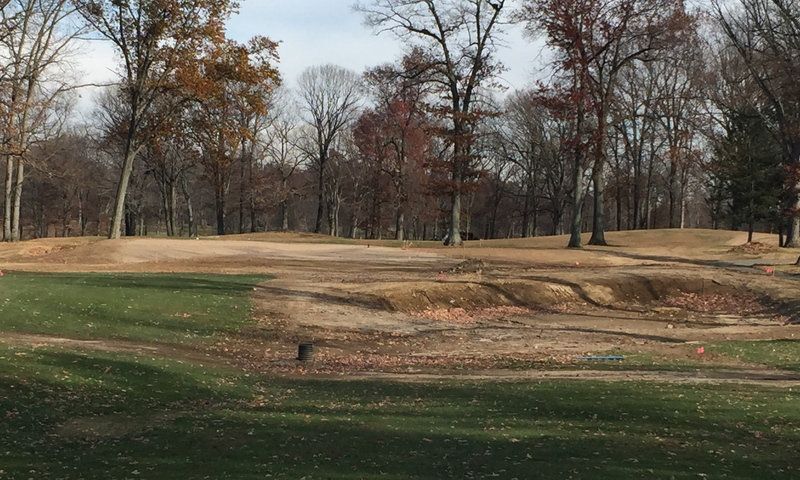 Dusenberry Golf Design, which is renovating Keney, started on the front nine and had made significant alterations before winter shut down the project. Baptist had previously said the front nine would open first. The entire project, which has been estimated to cost about $5 million, includes a new irrigation system, the building of a cart barn and significant improvements to the clubhouse. The front nine at Keney was designed by Devereux Emmet and opened in 1927. It proved so popular that by 1930 the second nine was built. Those holes were laid out by Hartford city engineer and part-time golf course architect, Jack Ross who designed a handful of other courses in the area including the first 18 at Stanley, Indian Hill and Canton Public Golf Course. Keney, and it’s sister course, Goodwin Park Golf Course, had fallen into abysmal conditions under MDM Golf Management. The city terminated it’s contract with MDM in 2013. In May of 2014, Hartford hired PGA golf professional Kevin Cloud, of Cloud 9 Golf Company, LLC, to operate Goodwin Park as well as Matt Guilmette and Chris Guilmette of Guilmette Golf, LLC to operate the Goodwin Park course maintenance. The city has sent out a request for proposal for a superintendent at Keney and will, according to Baptist, soon be putting out and RFP for a golf professional. The starting date for the superintendent is May 1. 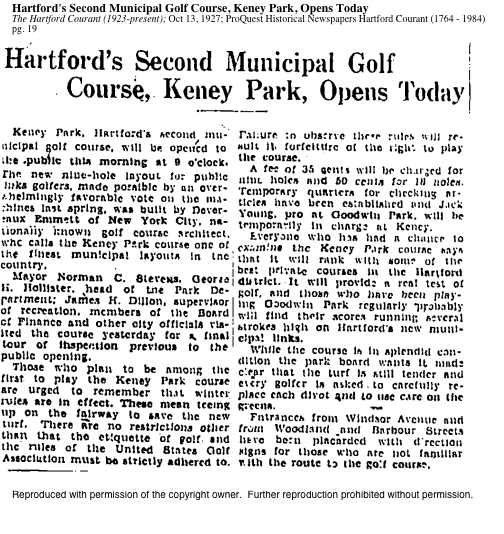 “Th key to both operations at Keney Golf Course will be the provision for programmatic and employment opportunities for Hartford residents,” Baptist said.